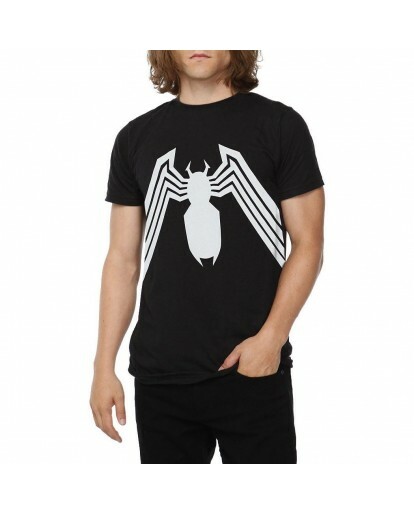 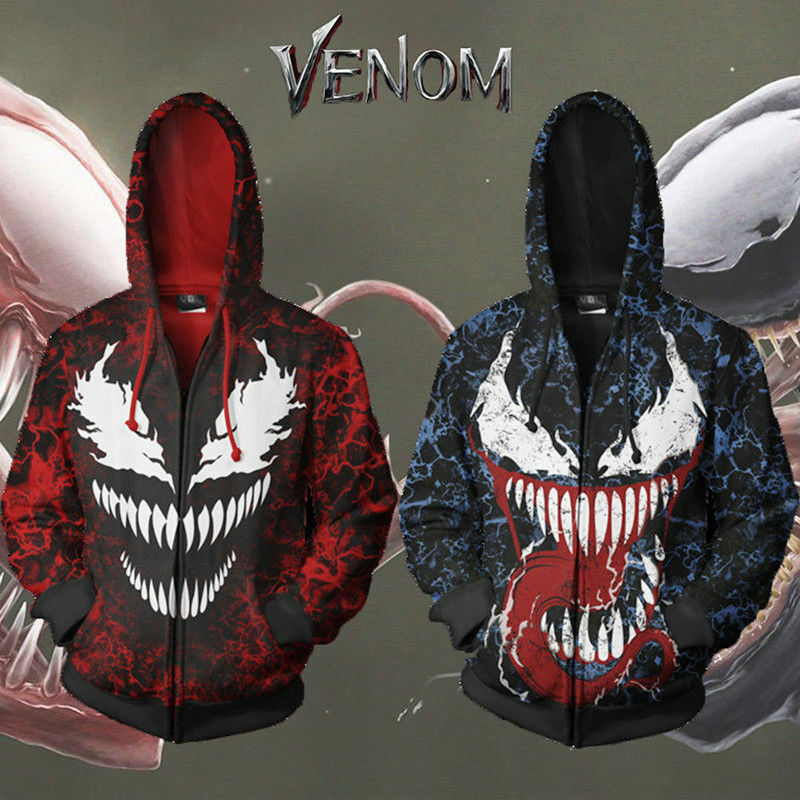 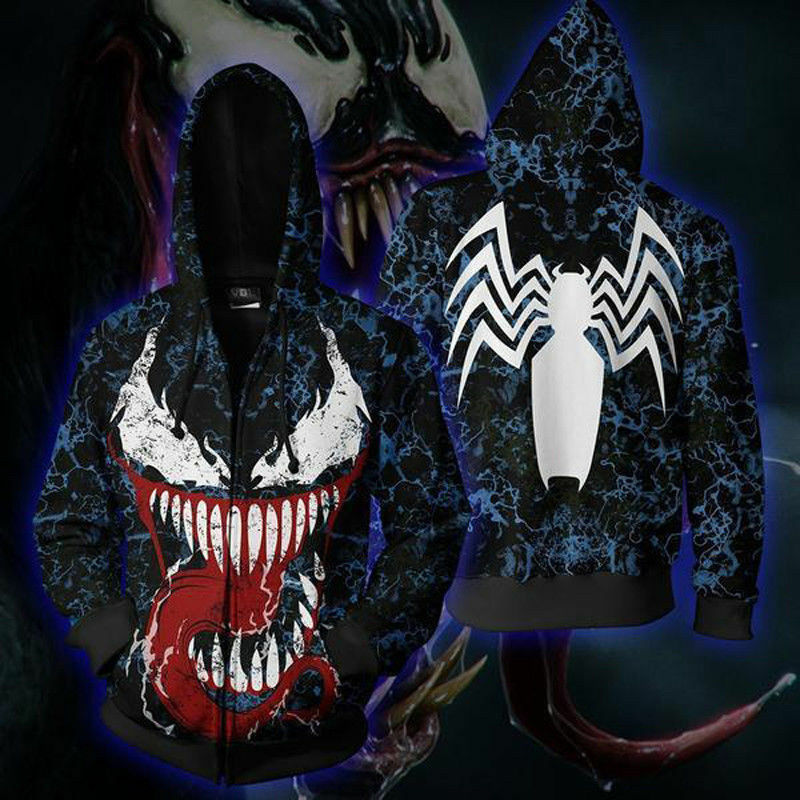 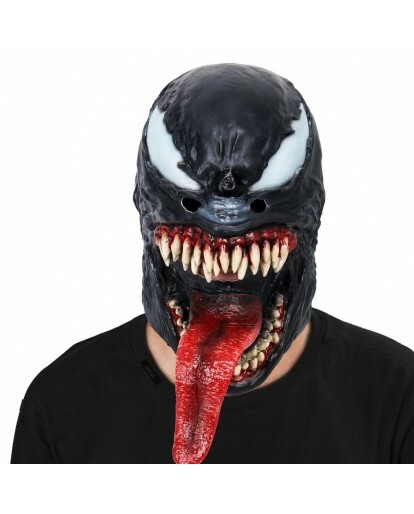 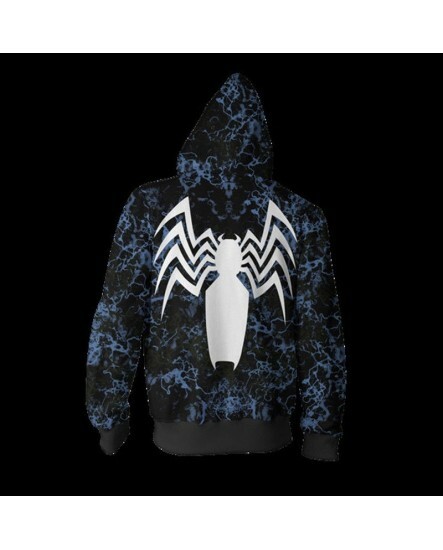 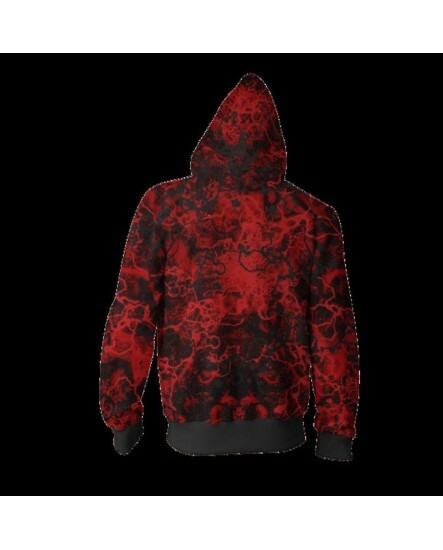 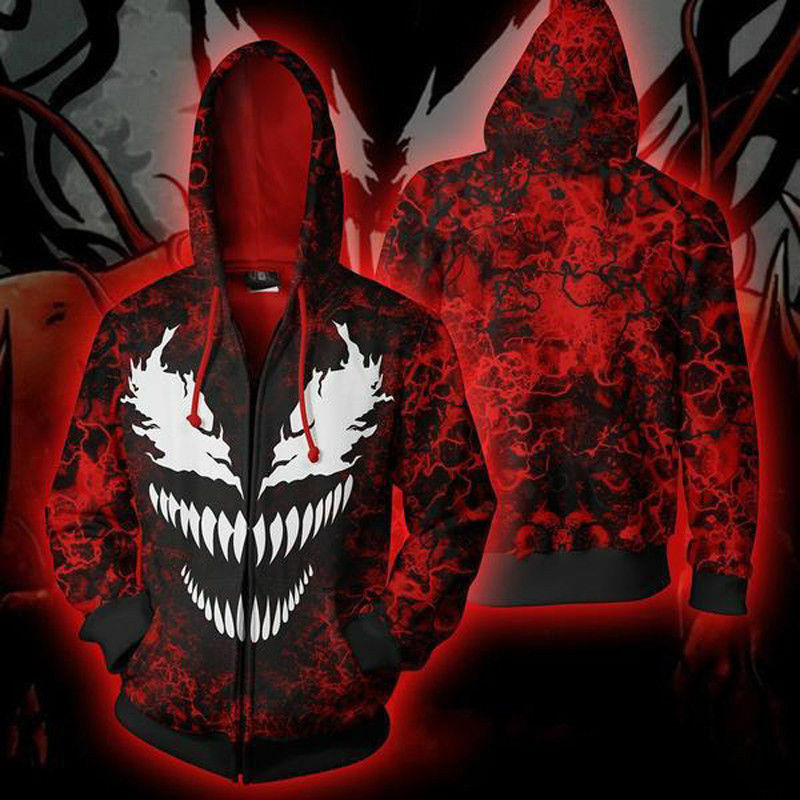 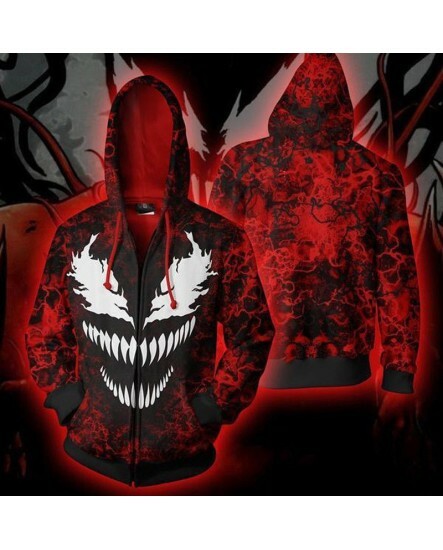 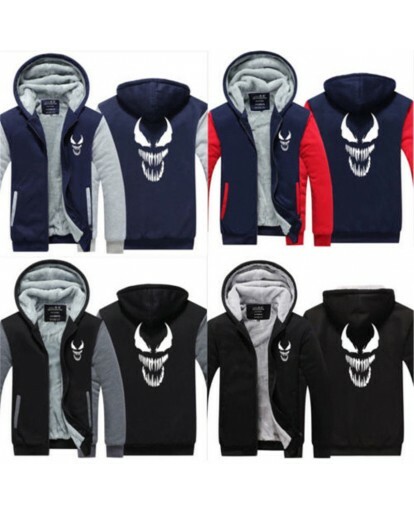 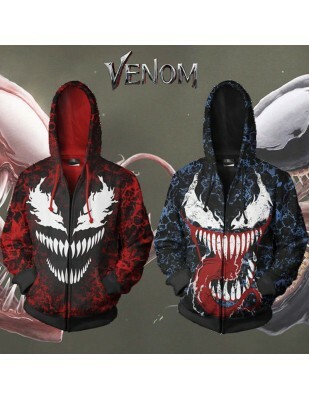 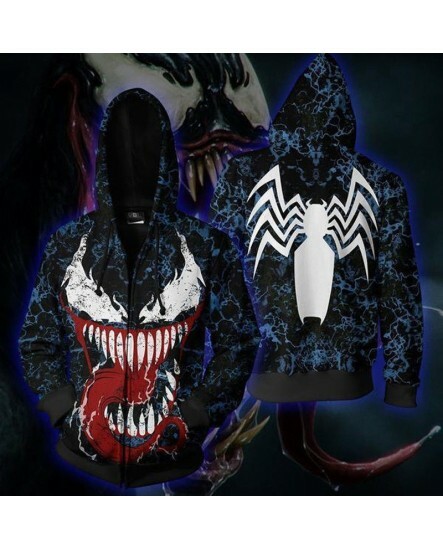 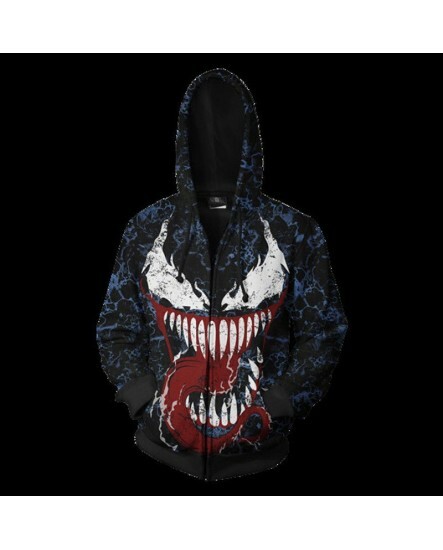 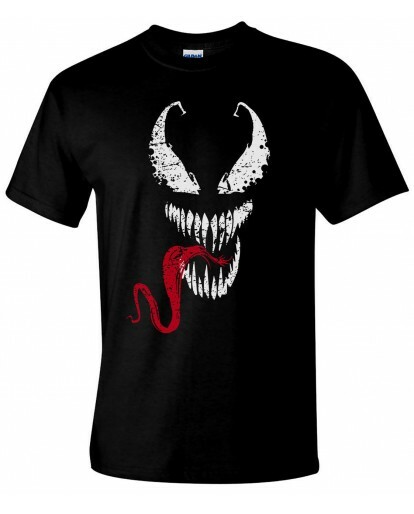 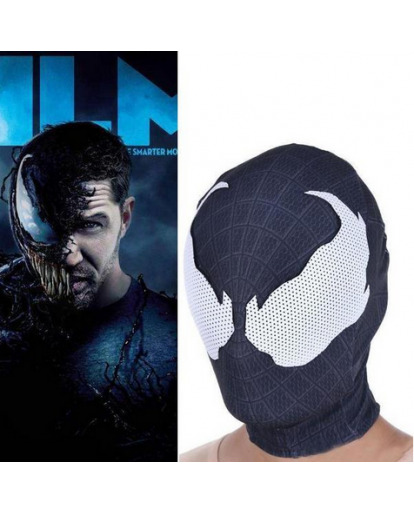 Now you can easy transform yourself into the heroic Venom's look by wrapping up in this red/blue 2018 New Men's 3D Spiderman Venom Hoodie Sweatshirt.You can wear it at usual,but also when you dance at street with your team.You can match this unique Hoodie Sweatshirt with any pants and shoes you like. 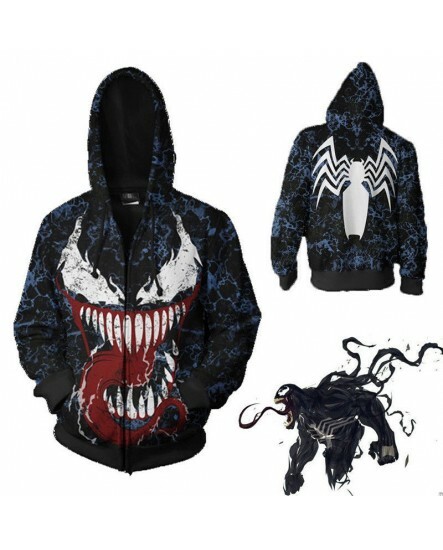 You will be very cool and attarck every one's eyeball with this Sweatshirt put on. 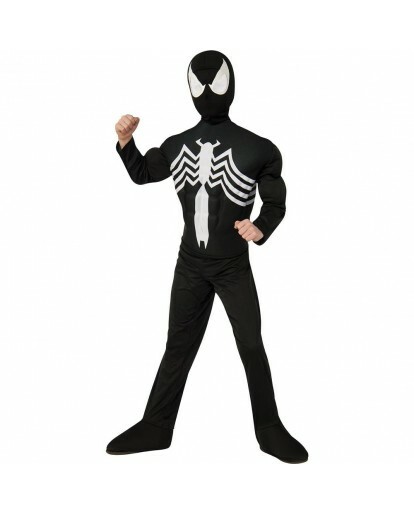 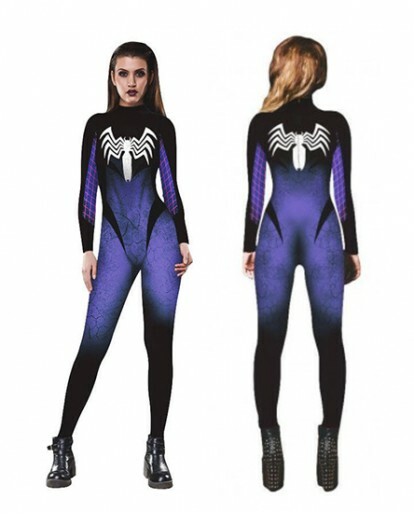 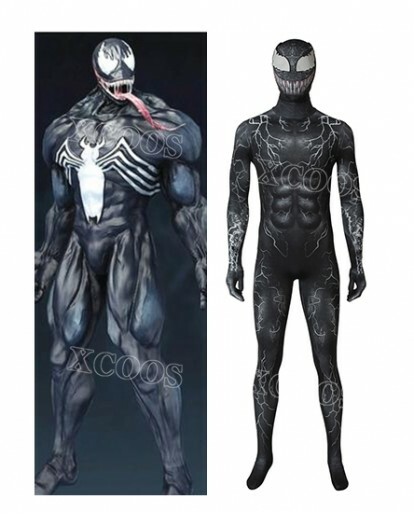 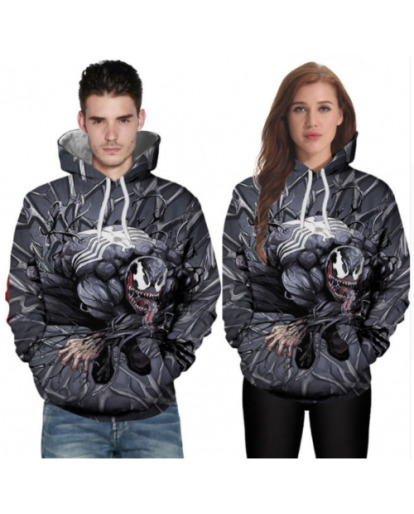 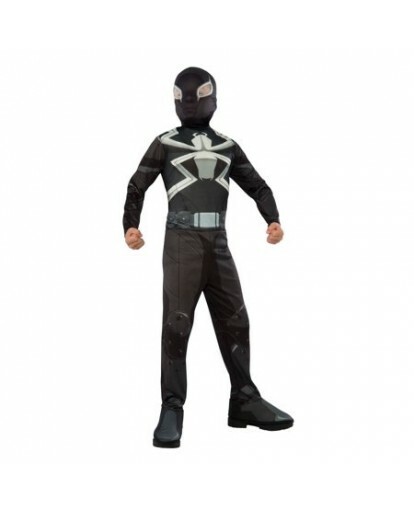 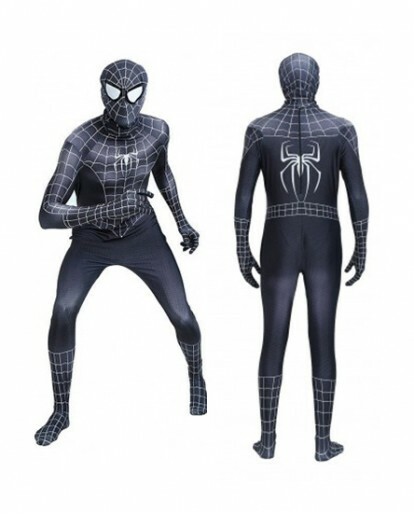 This Men's 3D Spiderman Venom Hoodie Sweatshirt is made by soft high quality Polyester Fiber,and this cozy Spiderman Venom costume is designed especially for plus size man who want a creepy look this Halloween. 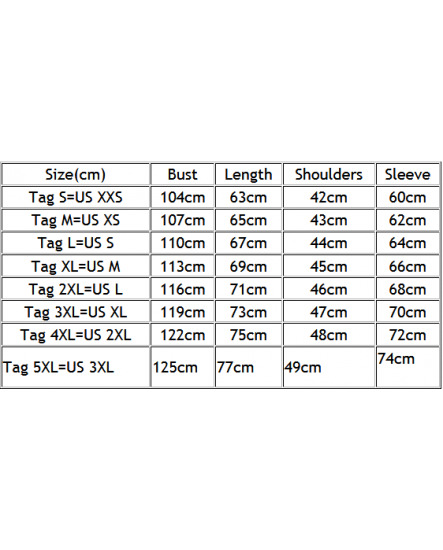 We have 2 colors for your choose:blue and red.and please check the size chart before you place the order. 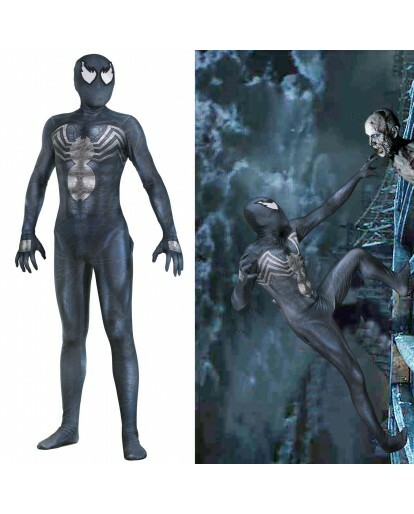 It's a great suit, the only way it could be better is if it had shoes to match.